Obama's Health Plan Getting Tested In Court The Obama administration's biggest domestic policy accomplishment -- the new health care law -- is under steady legal attack. On Thursday, lawyers argued the first case to hit the courts, filed by the attorney general of Virginia. More than a dozen other state challenges are in the pipeline. Virginia Attorney General Ken Cuccinelli speaks during a news conference after a hearing in U.S. District Court in Richmond on the Obama administration's motion to dismiss Cuccinelli's health care lawsuit on Thursday. The Obama administration's biggest domestic policy accomplishment -- the new health care law -- is under steady legal attack. On Thursday, lawyers argued the first case to hit the courts, filed by the attorney general of Virginia, which doesn't want to participate in the new federal health care plan. More than a dozen other state challenges are in the pipeline. In a Richmond courtroom, Justice Department lawyers spent two hours squaring off against the state. The arguments represent the first stage of what could be a long fight. "It is our position that the individual mandate is unconstitutionally overbroad under the commerce clause," Virginia Attorney General Ken Cuccinelli, a Republican, told NPR earlier this year. "You cannot compel someone to buy something from someone else." The federal law requires people to have health insurance or pay a penalty, as a way of keeping down costs. Rob Weiner, the Justice Department's point man for defending the health care statute, says states just can't have it both ways. "The states cannot say we're entitled to take the money and disregard the conditions. That's not the way it works," he says. First, that the federal government is engaging in a power grab and going far beyond its authority to direct the states to action. The conflict between states' rights and federal authority goes all the way back to the Civil War. Second, states argue that Congress is imposing an unfunded mandate by misusing the commerce clause to regulate financial activity. Florida's lawsuit is the next-biggest case in line in the courts. David Rivkin, a lawyer working with Florida, says that Congress and the Obama White House take his breath away. "This is an unbelievable, unprecedented, utterly arrogant exertion of congressional power," he says. "It is just impossible for me to overstate about how revolutionary, in a bad sense, this bill is." The view is far different from Weiner's sunny office at Justice Department headquarters. Weiner is coordinating with a group of four key units, including the solicitor general's office, to keep tabs on all of the cases. He says Congress is entitled to something for its money. "Congress is appropriating billions of dollars that it's providing to the states for Medicaid, and it's entitled to attach conditions to the billions of dollars that it provides," he says. Weiner says there's a clear federal interest in health care because it costs so much for taxpayers -- $43 billion for people who didn't have insurance and didn't have an ability to pay. "This is a very important piece of legislation, but it is not an extraordinary exercise of congressional power," he says. The cases are resonating far beyond the courts. Republicans raised the state lawsuits repeatedly this week in hearings for Supreme Court nominee Elena Kagan. And early decisions in at least a few of the cases could come before the November elections. 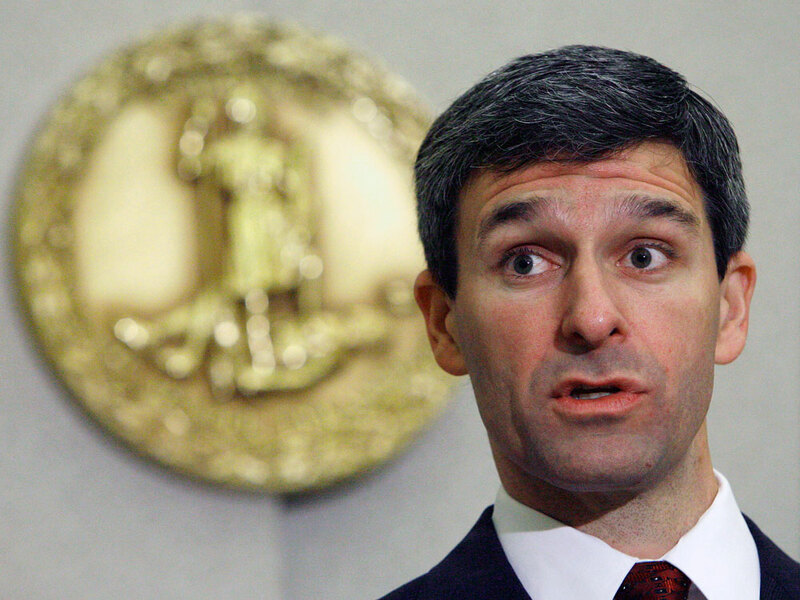 The Virginia judge says he will rule on the first step in that state's lawsuit within a month. Early arguments in the bigger lawsuit filed by Florida and other states are scheduled for September. Eventually, legal experts say this is the kind of dispute that's destined to wind up at the Supreme Court.